If all businesses were run like the Oakland A’s under Billy Beane–as portrayed in the new movie “Moneyball”–we’d be making personnel decisions based on scientific approaches to assess talent rather than preconceived pedigrees. What if all businesses were run like the Oakland A’s under Billy Beane as portrayed by Brad Pitt in the new movie Moneyball? Instead of making personnel decisions based on preconceived pedigrees, what if managers used a more scientific approach to assess talent? What if managers were able to make difficult personnel decisions without having to involve a bevy of lawyers and human resources representatives? Like scouts, recruiters are tasked with assessing talent for their organizations. And like scouts, recruiters often rely too heavily on a particular pedigree or candidate profile when making hiring decisions. They look to fill job descriptions instead of assessing capabilities and potential–and that’s often a deathblow for career changers. In Moneyball, Beane signed a former catcher to play first base–a position he never played before. He even went so far as to trade the potential All Star he already had playing at the position because he believed the move would give his team the best chance to score more runs–and ultimately win more games. This was the advice given by Billy Beane to Peter Brand on how to let a player know he’s been traded, cut, or sent down to the minors. Although it’s never easy to let people know you’re letting them go, most team owners and professional athletes seem to understand it’s a business decision, nothing personal. Sure, feelings still get hurt, but the lack of lawyers and their carefully worded scripts is a rather refreshing break from the way the same process is handled by some businesses. Case in point, the recent and unceremonious ouster of Carol Bartz, former CEO of Yahoo, is a veritable “don’t” and an example of what can happen when you’re not shooting straight. Performance and chemistry are just as important in business as they are in baseball. In Moneyball, Beane was forced to shake things up when a player was undermining team morale. And they responded. As a manager, making such moves is often unavoidable. That can mean moving someone into a different role, to a different department, or if their performance is lacking, cutting them loose altogether. Beane realized he had a problem that needed to be addressed if he was going to have any chance at saving the season, and that’s just what he did. 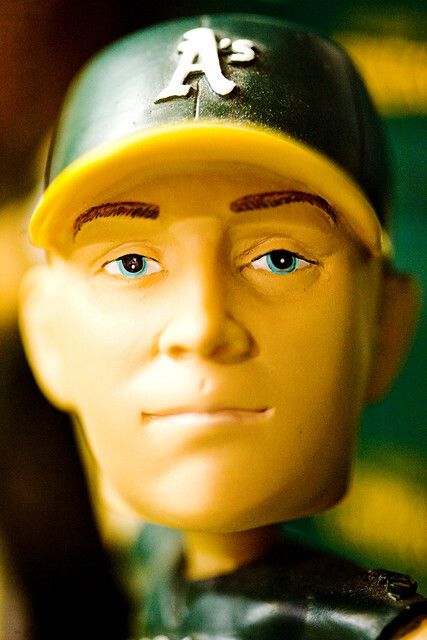 What if you ran your business like the Oakland A’s under Billy Beane? How might you evaluate potential hires differently? How might you change the way you manage your team?